1. What is ONLINE RECHARGE? 2. How do you use it ? 3. What do I need to use the system ? 4. What are the advantages of online recharging ? 5. What happens if I don't receive my credit ? 6. How safe is Online Charge ? 7. Personal details/company details have to be inserted again at every transaction? 8. How do I activate extra-option "Internet on Mobile Phone"? 9. Why should I create a user account on activare.ro? direct recharge of the phone number - available for rechargeing prepay cards of Vodafone or Orange. You need a computer with Internet acces, an email account or a phone number to receive the sms or mail with the recharging code or other information concerning the recharge and of course, enough credit available on your banking card to make the payment. < Monday-Friday from 09:00-18:00. Or you can send an email to support@activare.ro with the transaction details(phone number,the date and hour the transaction was made at, the selected product). 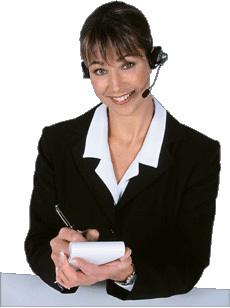 Our operators will offer you all the information needed to fix problem. Now everything is easier and safer as ever ! The technology for securing your data and secure authentification used is called 3D Secure. It is an international sollution integrated in both Verified by Visa and MasterCard Secure Code programs that are the result of more than 7 years of experience in online shopping using a credit card. In the case you create a partner account here: https://www.activare.ro/partners/register.php there is no need for you to insert again personal details/company details because those can be saved in your partner interface at Financial Details. have access to complete history of transactions made with your account. have the possibility to download invoices in pdf format for every order. have the possibility to reorder previous recharges on the same phone numbers from previous orders. Transactions with PIN code can be cancelled only in the cases in which Service Provider of the service/content (Ex: Vodafone, Orange. Telekom) checked into their databases based on the serial number of the associated PIN code, the fact that the PIN code has not been redeemed and the cancellation procedure it is available only after Service Provider locked the serial number for further usage in the future into their databases. Transaction based on direct recharges or topups direclty on the phone number provided at the moment of transaction cannot be cancelled/storno because the resources like minutes/SMS/MB of internet traffice were already allocated to the phone number number and there is no cancellation/storno procedure available.